When we hear the word “Banana,” it reminds us an edible fruit with tiny seed or seedless, grow on the banana plant (herb). Have you ever heard of Musa Ingens, the giant banana? It is a rare banana species that can reach surprising sizes. 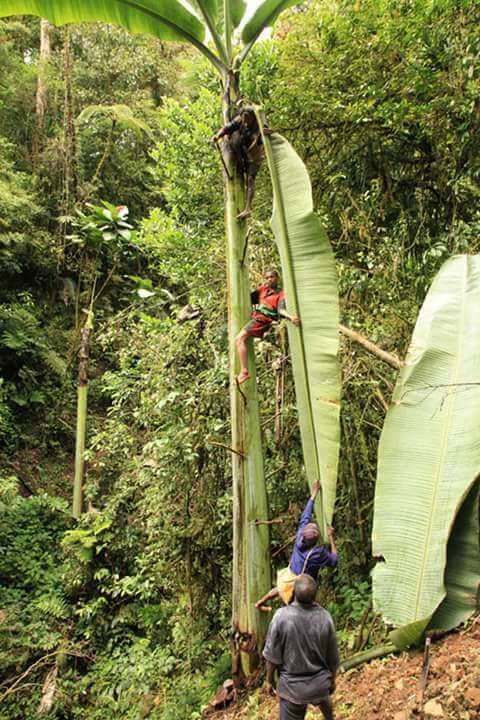 Musa Ingens, the world's largest banana tree growing in the forest of Papua New Guinea and Indonesia. It is the tallest species of bananas and the world's largest herbaceous plant. The size of the Musa Ingens banana is impressive. It can grow to 15 m high; the circumference of the base of the stem (pseudostem) is up to 2m. While it’s leaves can attain a length of 5 meters and a width of 1 meter. It was totally unexpected. 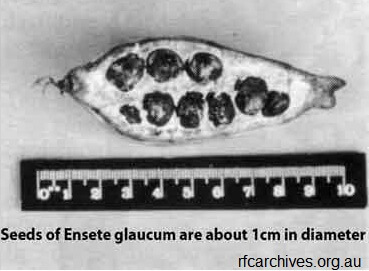 The seeds are smooth and with a mean diameter of 4-10mm, so its fruits are not edible. No wonder so many people are fascinated with this banana plant. How much radiation is in a single banana? Is it safe to eat? Musa Ingens plant habitat in tropical forest, the Highlands from 1350 to 1800 meters above sea level. They are adapted to grow in a cold climate. 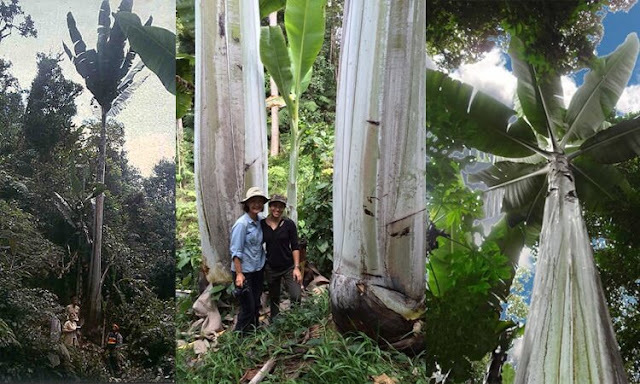 Here is the video of giant banana plant uploaded on YouTube in 2011 by some Indonesian teens. The Musa Ingens's important feature is fully described by N. W. Simmonds in 1960 while Jeff Daniells popularizes this plant after a study visit to Papua New Guinea in 1989. HOW TO GET A PLAT OR SEED ?? How long does it take to grow to its maximum height?